The VECTOR by KAYEZEN® is simple to use and configure and delivers new levels of convenience and versatility. Changing resistance levels is as simple as turning a cap and swapping accessories just became a lot easier. Easy to connect to any anchor that accepts a carabiner, VECTORs can be used in any indoor or outdoor environment. Swapping out the internal tubes is fast and simple and allow VECTORs to deliver resistance ranges of approximately 10 to over 100 pounds. 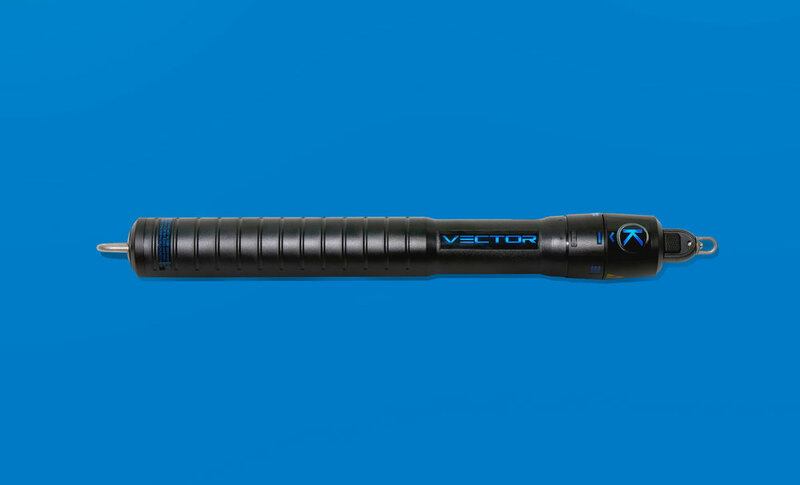 To reduce “snap-back risk,” VECTOR TUBEs are assembled with Kevlar® string through the center. The Kevlar string “pops out” to provide an immediate warning if a VECTOR TUBE requires replacement.